Space is limited, so make your reservation today by contacting Kaye Moreno at rkmoreno@sbcglobal.net or (817) 946-0347. Mail checks to: Kaye Moreno, 1213 Kelpie Court; Fort Worth, Texas 76111. Social – 11:00am Program – 11:30am; Location – Fort Worth Club, 306 7th St., 12th Floor. Valet parking is available for $5. To make a luncheon reservation ($25 with reservation, $27 without), RSVP by noon on Monday, March 25th to Helen Bavousett at 817-516-0704 or byronandhelen@live.com. 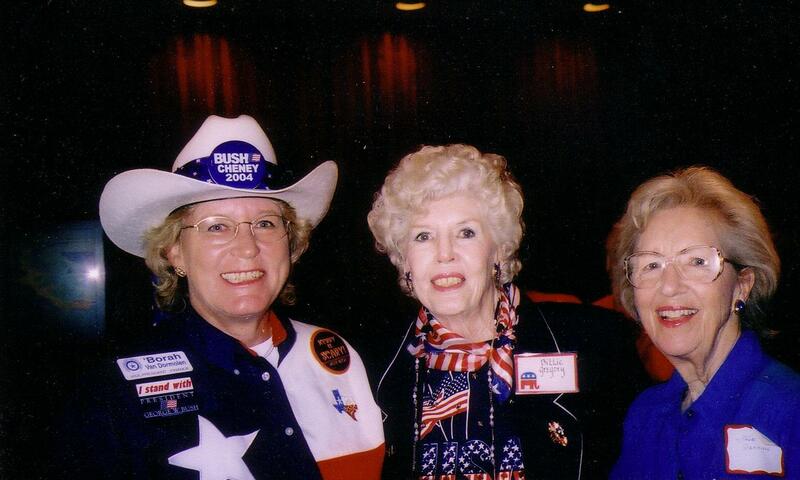 Republican Women throughout Texas, and, in fact, throughout the nation, mourn the passing of Borah Van Dormolen, a larger-than-life Republican leader at the local, state and national level. Fort Worth Republican Women were honored over the years to have her as a guest speaker at our club meetings. Burial services will be held at 11:00am on Thursday, March 21 at the Texas State Cemetery, 909 Navasota Street in Austin, followed by a celebration of Borah’s life at the Austin Club, 110 E 9th Street in Austin, from noon until 3:00pm. After enlisting in the U.S. Army in 1974, she rose through the ranks, serving in various commands and leadership positions, including serving as Commander of Logistics Operations for the 1st Calvary Division and 13th Corps Support Command. 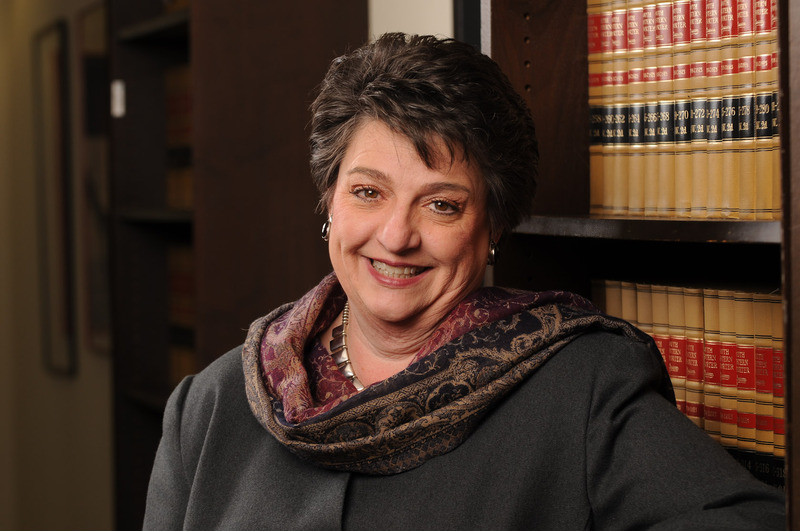 She retired after 23 years with the rank of Lieutenant Colonel and immediately began a remarkable journey into political life, elected to serve as President of the Texas Federation of Republican Women in 2006 and as the Texas National Committee Woman for the Republican National Committee in 2009. Throughout her extraordinary life, Borah Van Dormolen was motivated by a desire to serve her country and work passionately on the causes most important to her. After almost a quarter-century in the military, Lt. Col. Van Dormolen retired to champion the people and issues she valued, and she left her state, and her country, a better place for it. I was also proud to have appointed her to the State Cemetery Commission. We will all miss Borah’s wisdom and boundless energy. Anita joins me in sending our deepest condolences to her husband, Rich Castle, along with the rest of her family and vast network of friends. We’re absolutely heartbroken by Borah’s passing, and our thoughts and prayers are with her husband Rich and her family and loved ones. Borah’s commitment to serving her country was unshakable… In politics, she worked tirelessly, motivated by the constant desire to strengthen her country and her beloved state of Texas… We’ll miss her leadership, her energy and her passion on the Republican National Committee. Our party is better for her dedication and service, and I’ll always be proud to have worked alongside such a patriot and trailblazer. — Reince Priebus, Republican National Committee Chair. — Texas Governor Rick Perry. One of the great privileges of my life is to get to know and work with someone whom I consider to be an amazing woman, Borah Van Dormolen. Over the past several years I have had a chance to personally observe her tireless work on behalf of the Republican Party of Texas but more importantly on behalf of the country she loved dearly and served so well for so long. It is hard to believe that she is gone, having just been with her at last weekend’s SREC meeting when she was her usual, passionate, energetic and inspiring self. What always impressed me the most about Borah was her kind hearted spirit and how she always treated other people with dignity and respect. There will never be another Borah and we will miss her deeply. On behalf of the RPT family, we extend our heartfelt condolences to her husband Rich and to her family. — Steve Munisteri, Chairman, Republican Party of Texas. 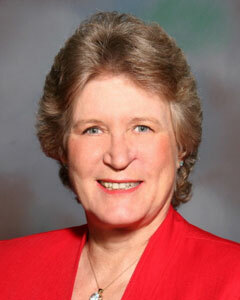 TFRW mourns the passing of our dear friend and colleague, Borah Van Dormolen. Borah was an inspiration to me as I began my path as a Republican Woman. 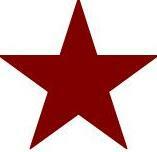 Her leadership in the Texas Federation of Republican Women was bold and decisive. Her common sense, her sense of humor, intelligence, and caring for Republicans set her apart from others. She was a dynamic and enthusiastic leader who was respected and loved across our state and nation. Borah traveled tirelessly across Texas giving her all. Everyone who met and heard Borah immediately began to share her enthusiasm and vision. Let us all carry on as Borah would want us to do and be the Republicans she would be proud of – focusing on unity. — Carolyn Hodges, President, Texas Federation of Republican Women. I am going to miss Borah’s grit, tenacity and her perseverance. She always lifted and encouraged our Party. More importantly she wanted Women to have the courage to take leadership roles. She was a mentor and friend to me and to many. I join an army of women and friends that will miss her in so many ways. — Debra Coffey, FWRW Member and 1st Vice President of TFRW. Borah was an incredible advocate for the Hispanic Republican movement, and was there for us when others were still uncertain about the need to reach out to Hispanics. She was a visionary who understood the significance of the growing Hispanic community and the need to connect with Conservative Hispanics – she was a true friend. We will forever remember the way she commanded a room, made people laugh, and inspired us to do more by telling us what we needed to hear, not what we wanted to hear. There was only one Borah Van Dormolen and it was an honor to know her. — Duke Machado, President, GOP is for Me. Now follow FWRW on Twitter! Go to https://twitter.com/FWRepWomen Don’t have a Twitter account? It’s easy and it’s free. 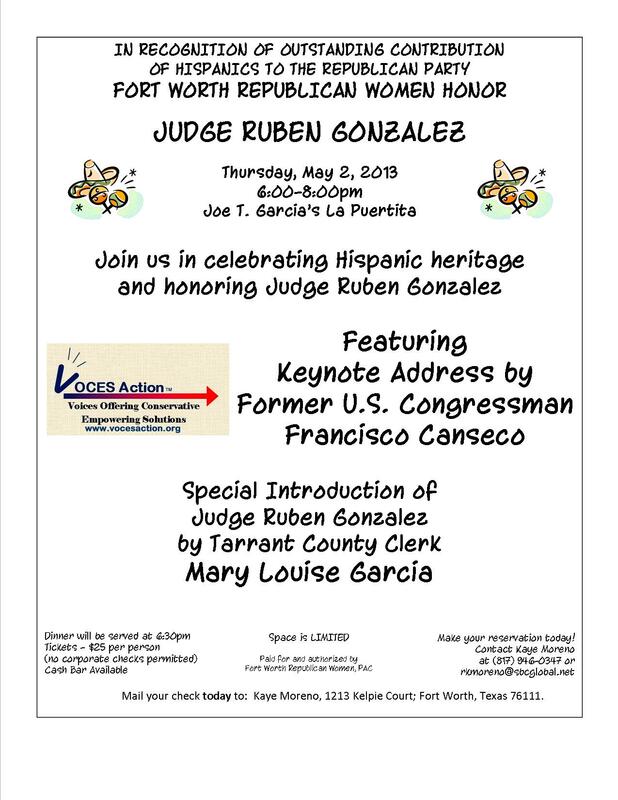 Go to https://twitter.com and sign up so that you can view and share information from Fort Worth Republican Women. All you need to do is enter basic information about yourself, which you can choose to keep private when you set up your account. “What is this Twitter?” you might ask. Twitter is a social networking site different from Facebook. Users post “tweets” of information which are limited to 140 characters or less per tweet. “Who uses Twitter?” Users can be individuals, businesses, city governments, television networks, television shows, politicians, political activist groups, social clubs and more. In fact, every major news source has a Twitter page. Furthermore, almost all elected officials have a Twitter account. “What if I don’t want to tweet things about myself?” That is perfectly your choice! You can tweet your own material, you can “retweet” (tweet the exact tweet of another with automatic attribution to the original tweeter), you can quote a tweet or you can simply not send out any tweets whatsoever. “So if I don’t tweet, then what is the point of having a Twitter account?” As previously stated, several types of entities and individuals use Twitter. Effectively, you can access local, national and world news almost as instantaneous as it occurs in real time. Most importantly, you choose what you see by “following” the Twitter pages you select to follow. This will put all tweets of pages you follow into a timeline that will display those tweets in chronological order for your information whenever you choose to view it. Of course, you will want to follow @FWRepWomen first. That brings me back full circle to the reason our members should be using Twitter. It simply, and for no cost, furthers our cause by quoting and retweeting the tweets of @FWRepWomen for the world to see! Just try it. You will love creating your own political news world while helping to further our cause. In the March 19th newsletter of THE AMERICAN THINKER, Jonathon Moseley published a rather astute article discussing the new Pope’s meaning to both liberal and conservative politics. As you read through it below, think about how conservative and secular politics parallel and perhaps differ both from one another and from liberal ideas. It’s a fascinating read. Enjoy. Pope Francis offers cause for both liberals and conservatives — especially in secular politics — to claim him as their own yet also to worry that the Vatican may stray in the ‘wrong’ direction under his leadership. 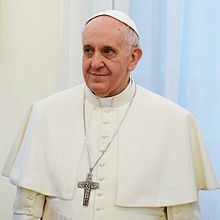 The accession of Argentine Cardinal Jorge Bergoglio as spiritual head of the world’s 1.2 billion Catholics has resurrected questions over Christianity’s attitude toward the poor as well as government policies. His Holiness is a deep Catholic scholar and a strict adherent to the Bible and Catholic teaching. Francis strongly opposes abortion, adoption by homosexual couples, and homosexual marriage. Yet, liberals find it shocking that Pope Francis also actually cares about the poor and ‘social justice.’ How can anyone be a follower of traditional, Bible-based Catholic teaching yet also want to respond with compassion to the poor? Hmmm. Perhaps someone has not really been paying attention. It all comes down to this: Liberal Christians want to out-source their Christian duty to the government. That is, the Church must decrease so that the government can increase (with apologies to John the Baptist). Conservative Christians believe that each and every individual Christian is responsible to live out Christ’s teachings, up-front and personal. And the church is paramount. So the real controversy is whether the Catholic Church should subcontract Christianity to the government. Should Christians depend on the government to please God for us, so we don’t have to please God for ourselves? The liberal approach is to hire bureaucrats to take their place in the sight of God. Then the proud liberal can go about his or her business while bureaucrats get their hands dirty. Pope Francis believes — like 119% of all Christian leaders in history — that it is every Christian’s duty to help the poor as much as to help ourselves. But apparently Pope Francis also believes you should do it yourself personally. Secular and Christian liberals believe that the government should take over the duties — and the authority — of the Church. Liberal secular opinion-makers hoped to try out their “the Church must modernize” chorus on a new Pope, hoping to fool a sucker. They see the Catholic Church as only a political power center and not as an enterprise to please God. Naturally, what God wants or thinks about it all plays no role in their debates. Yet Pope Francis is said to openly reject ‘liberation theology’ prevalent in Latin America — which is socialism dressed up in Christian lingo. Liberation theology was originally invented by the KGB during the Khrushchev era and widely promoted by the World Council of Churches throughout Latin America’s churches. For Cardinal Bergoglio to publicly reject it where it was strongest, among South America Catholics, is saying something. This controversy is surprising given that Jesus Christ so clearly distinguished between the government and the church: “And Jesus said to them, ‘Render to Caesar the things that are Caesar’s, and to God the things that are God’s. '” Mark 12:17. Every teaching by Jesus on the poor clearly involved personal charity, one-on-one. Jesus condemned avoiding personal responsibility for caring for one’s parents by gimmicks in Matthew 15:1-10. Jesus never asked the Roman or Jewish governments to carry out His goals. Unfortunately, the Christian Church of all stripes has done a poor job of teaching and demonstrating charity for the poor. For one thing, Jesus taught Christians to give charity in secret, not to seek applause from men but to receive reward privately from God. Therefore, massive Christian charity efforts are not widely known. Yet the instructional value of teaching Christian doctrine to the world cannot be ignored, either. So we don’t seek applause from people. But we must also teach to the world what Jesus tells us. Therefore, Christians may need to trumpet to the world their charity for its teaching value even at the cost of being rewarded by God. For another thing, too many Christians nod their heads and say ‘Amen!’ on Sunday morning but don’t actually do what Christianity teaches during the week. We believe the right things. But we need to do the right things, too. Thirdly, churches have retreated into their shells like tortoises and have abdicated their powerful role in society. Churches suffer from an insecurity and identity crisis. Meanwhile, secular liberals, opinion leaders, and the news media want to remove the Catholic Church as a moral obstacle to abortion, homosexual marriage, and other liberal goals. They embrace Islam, although Muslims also oppose abortion, homosexuality and homosexual marriage. They oppose the Catholic Church because Catholics oppose abortion, homosexuality, and homosexualmarriage. Thinking things through has never been a liberal strength. Fortunately, the Catholic Church rolls on, unimpressed and unmoved by all those who have nothing more than a ready opinion. Jonathon Moseley is an accomplished political columnist and activist. 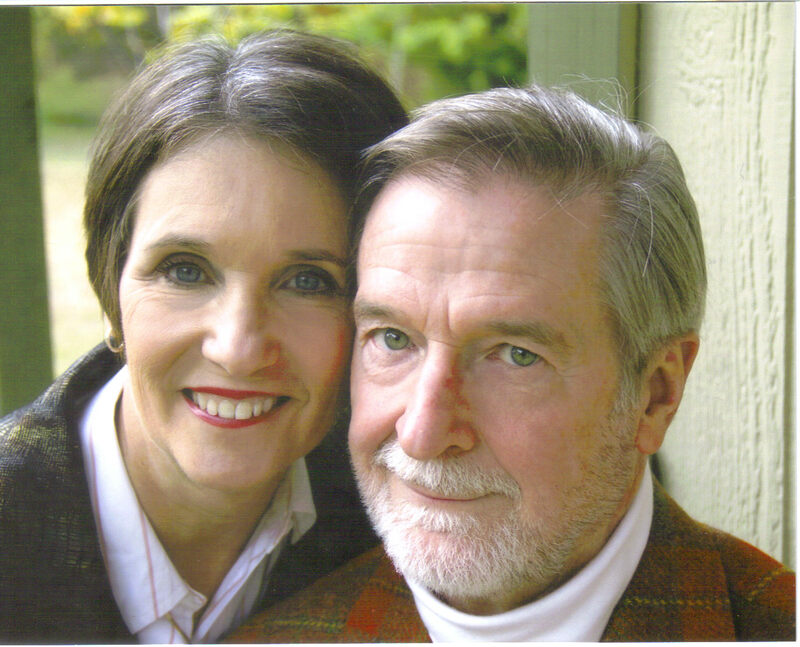 Mr. Moseley studied Physics at Hampshire College, then earned a degree in Finance from the University of Florida, where he was also a columnist for the university newspaper, and a law degree from George Mason University. Thoughout his career, he has served in many areas of politics and public affairs. It’s Membership Renewal and Yearbook Time! 2013 is here, and it’s time to renew your membership for next year. Also, we are in the process of compiling the information for the 2013 Yearbook. If you have not sent in your membership form and paid your 2013 dues, you should do so ASAP if you want your information to be included in the 2013 Yearbook. Have You Reviewed the Republican Budget Proposals? Click HERE for the budget proposed by House Budget Chairman, Paul Ryan (R-Wisconsin). Click HERE for the budget proposed by the Republican Study Committee. Reduce Improper Payments: In 2011, by its own estimates, the federal government made $115 billion in improper payments. These are instances where people receive benefits or payments they are not entitled to receive or for which proper documentation hasn’t been provided. Reduce Duplication: According to the non-partisan Government Accountability Office, the federal government administers 94 federal initiatives to foster green building; 15 significant financial literacy programs across 13 agencies; 173 STEM education programs across 13 agencies; and 47 job-training programs. Consolidating these programs would improve their effectiveness and save taxpayers billions of dollars. Free Cell Phones: This program cost $2.2 billion in 2013 alone. ObamaCare Promotion: The federal government spent $51.6 million last year promoting ObamaCare and paying public relations firms. IRS TV Studio: The IRS has a full-service TV production studio which costs $4 million annually to operate. Vacation Getaways: The 183 Conferences paid for by federal agencies over the last several years cost taxpayers more per attendee than the infamous October 2010 GSA conference in Las Vegas, NV. Property Maintenance: The federal government spent $1.7 billion in 2010 to maintain property that is not in use or underutilized. EPA Grants to Foreign Countries: The EPA has given more than $100 million in grants to foreign countries over the last ten years. Pay to Play Video Games: The National Science Foundation spent $1.2 million paying seniors to play “World of Warcraft” to study the impact it had on their brain. Smoke Up! The Department of Veterans Affairs spent $47,000 on a cigarette smoking machine that holds up to 40 cigarettes at a time. Reduce Medicaid Loopholes: By reforming the Medicaid provider tax, we could save at least $9.8 billion. Increase Medicare Means Testing for Upper-Income Earners: By asking the upper-income to pay more for Medicare, we could save approximately $20 billion. Make Federal Retirement Match the Private Sector: By updating the federal employee retirement system to more closely track with the private sector, we could save approximately $21 billion. Require the Return of Over payments: By requiring that individuals return over payments for exchange subsidies in ObamaCare, we could save approximately $44 billion. Eliminate Slush Funds: By eliminating the Public Health Slush Fund in ObamaCare, which Democrats have supported reducing, we could save approximately $10 billion. Require Food Stamp Eligibility: While ensuring those who need food stamp support get it, we can save approximately $26 billion by simply requiring recipients prove eligibility. Every wasteful dollar of that exorbitant amount is paid through the sweat and toil of American taxpayers. Yet, the Obama Administration and the Democrats are demanding that taxpayers pay even more. It’s time to END government waste, not ENABLE it!